A few years ago, I got clued in to the immune support that Elderberries can give. 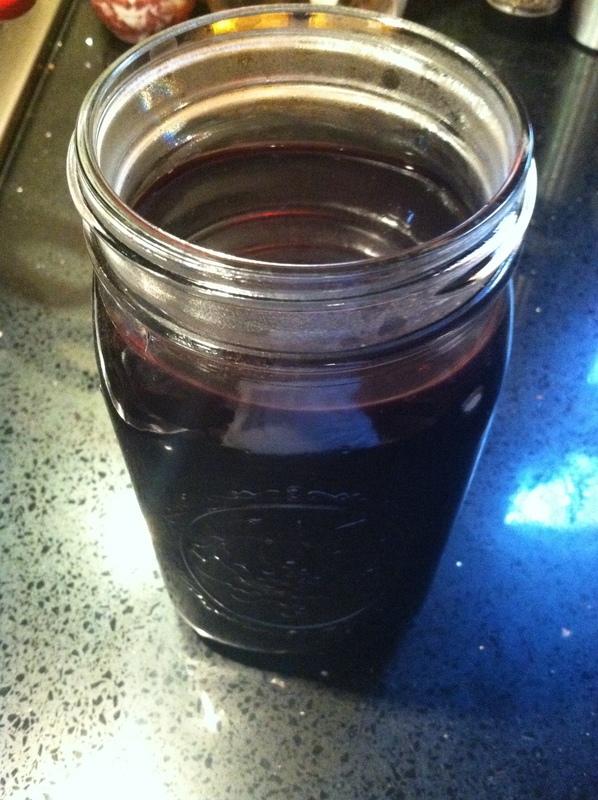 In fact, I even wrote a bit about the Elderberry Syrup I love to get at my local vitamin shop in my Go-To Natural Sick Day Remedies post. Around the same time another friend shared a recipe for making your very own syrup at home. I’ve made this a few times and have been pretty satisfied with how the last batch came out. I figured that with colds and flu being everywhere this season, it was a good time to share. Elderberries: (or Sambucus nigra, the plant in the Elder species that is used for medicinal purposes) supports immune and respiratory health. Anti-viral. 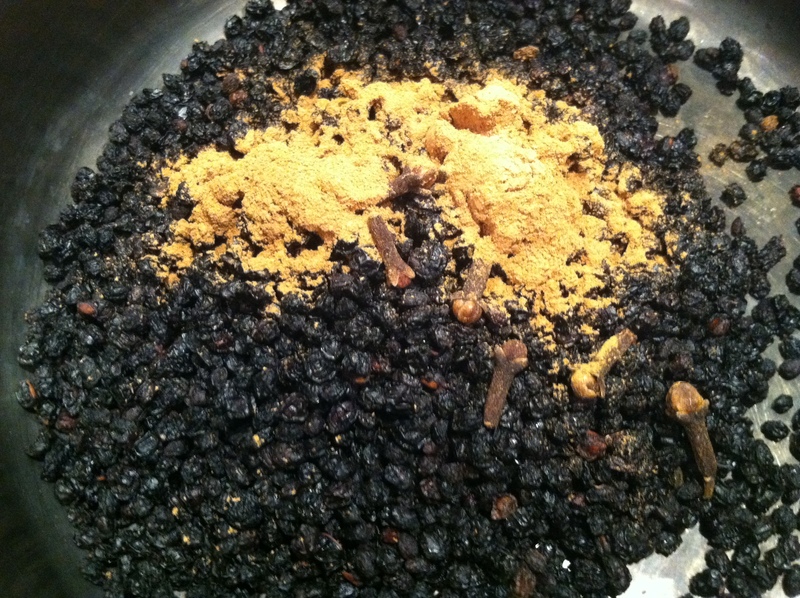 Can relieve cough, inflammation, can lower cholesterol. Honey: helps tame coughs, anti-bacterial, and anti-inflammatory. Ingesting local honey can help improve seasonal allergies. 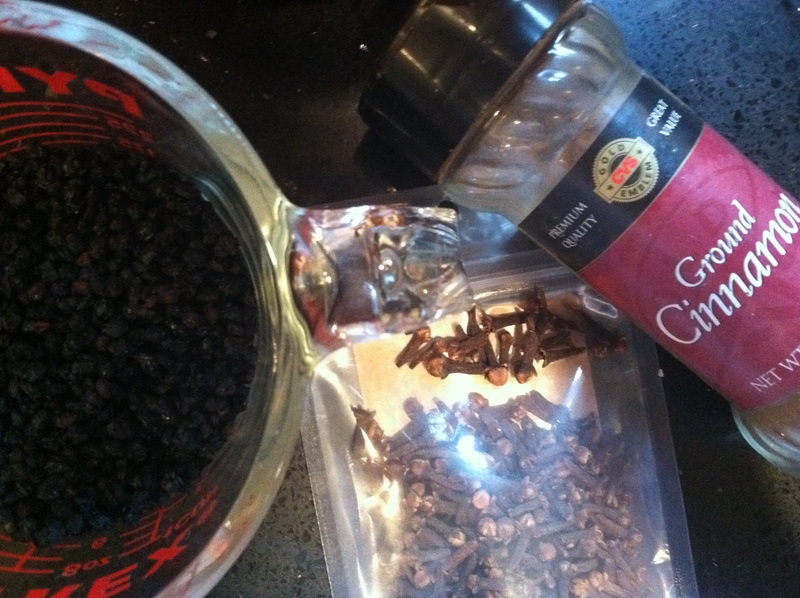 Clove: helps with upset stomach and coughs (making them more productive). Anti-septic and anti-inflammatory. Is anti-clotting, so should not be taken with blood thinners (however this may be when you’ve ingested a large amount. Please do additional research and ask your doctor if this pertains to you). Cinnamon: anti-fungal, anti-bacterial, aides in digestion, relieves cold and flu symptoms. Also anti-clotting and the same warning goes as before. 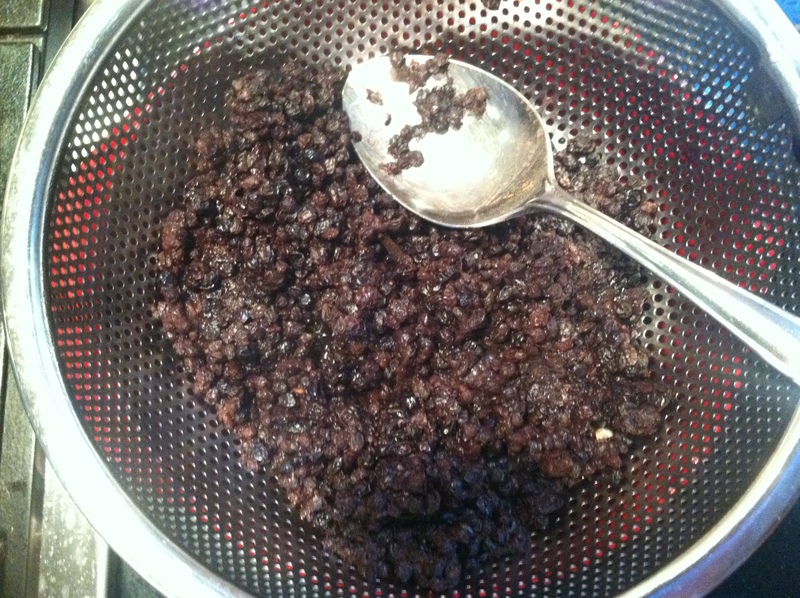 Put elderberries, clove, cinnamon, and water in a pot and bring to a boil (we’ll add the honey later). 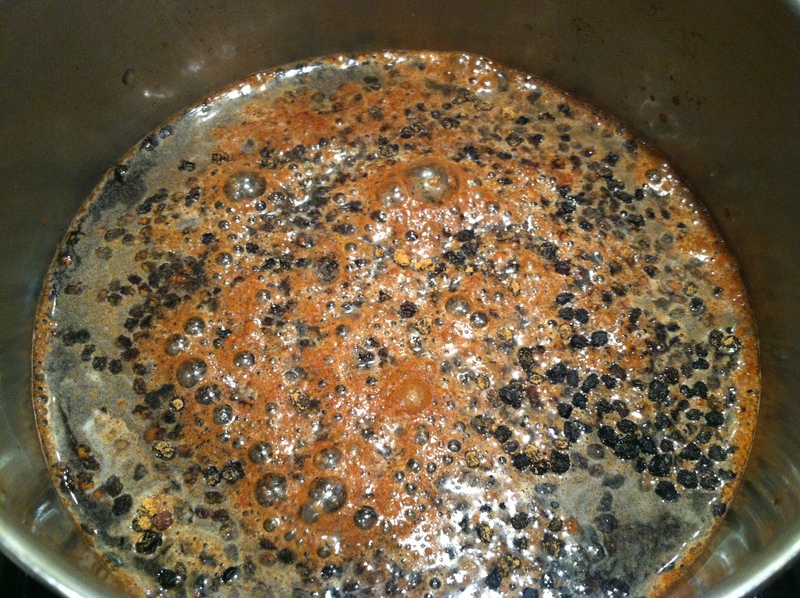 Then let simmer for 45 minutes. 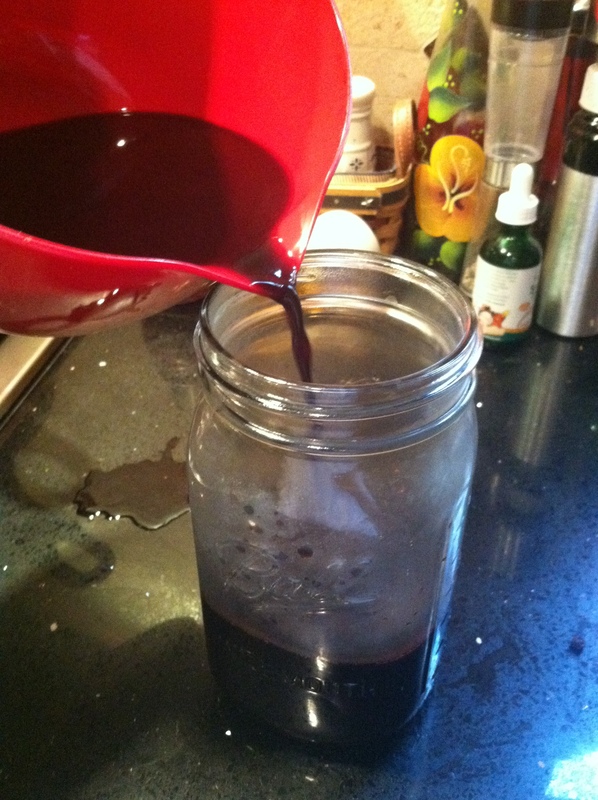 Pour mixture over strainer into a bowl or glass jar (mine is a 32 oz mason jar. However, the first time I made this, I managed to get around 12 oz into the jar. This time I was able to get much more!). Press on the berries to make sure all of the liquid is out. 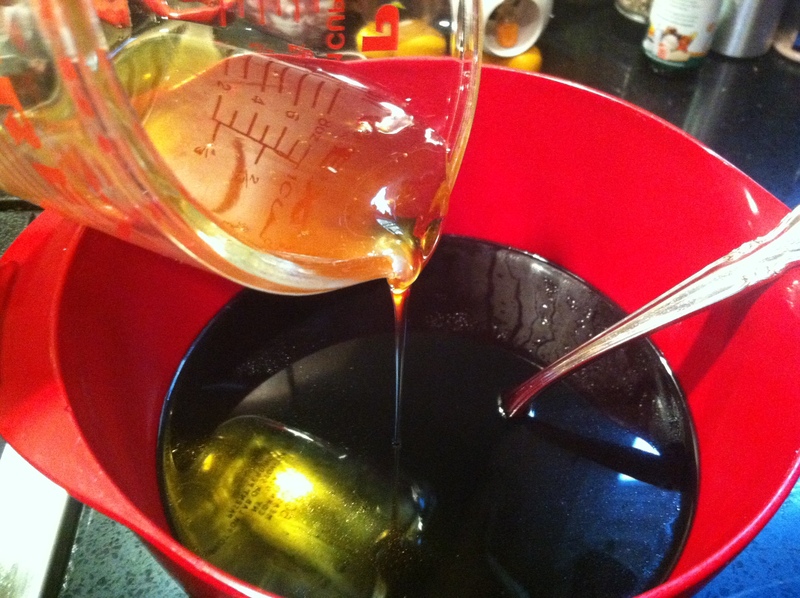 Let the liquid get lukewarm and then add your honey and stir until it dissolves. If you haven’t put the liquid in a container, do so now. You can take a tablespoon every 1-2 hours for adults and a teaspoon for the little ones if you’re fighting a cold or flu. You can also take a daily dose (1 tablespoon for adults, 1 teaspoon for kids) to help support your immune system throughout the year. This keeps in the refrigerator for about 3 months. 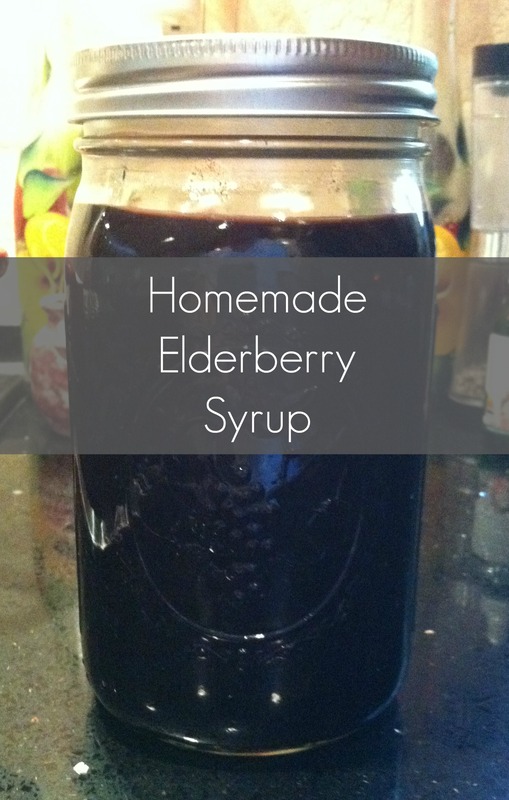 *the elderberry syrup has personally worked for me, and may not work for everyone in the same way. The syrup should in no way be used in place of medical care for severe symptoms of any kind.